Fellow GameCheater. 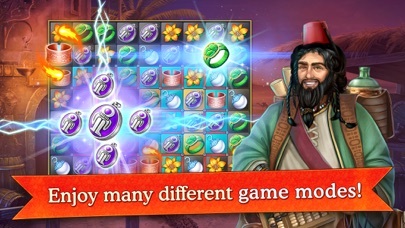 We would like to help you with the solution of Cradle of Empires Match-3 Game. Games like this are the best way to pass your free time and train your brain making it smarter and faster. Cradle of Empires Match-3 Game is an amazing Puzzle game altough it has a few clues, they are very difficult to get solved. 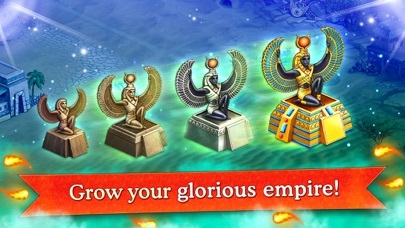 Does a particular Cradle of Empires Match-3 Game Level seem impossible to beat? Not to worry - We'll provide the best tips, tricks, and Walkthroughs to beat any Level of this game. 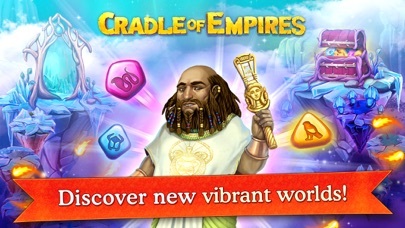 Enjoy our Walkthrough, hints and guides to come out on top any Cradle of Empires Match-3 Game Level. 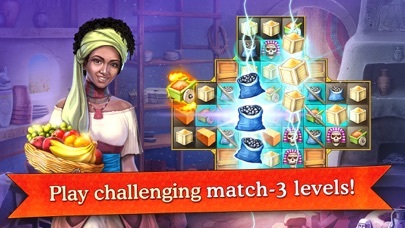 Cradle of Empires Match-3 Game is an iPhone and Android Puzzle Game, developed by AWEM GAMES LTD. 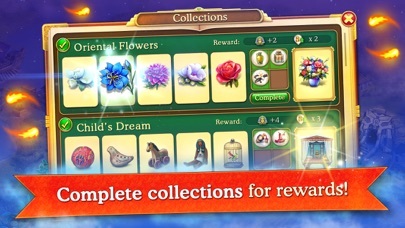 The Game was officially released for the iPhone on 2014-06-05 with a release for Android following shortly thereafter. Today, it has gone through many interations by the developers - AWEM GAMES LTD, with the latest current version being 5.7.6 which was officially released on 2019-04-13. As a testament to the app's popularity, it has gathered a total of 35,391 Reviews on the Apple App Store alone, with an average user rating of 4.5 out of a possible 5. The people who gave this game more than 2 stars must have just started playing, or they are friends and family of the developers. The developers of this game have no understanding of fun strategy. They have all of these quests and storylines that they obviously have no skill in maintaining. If they did, then they would not have rigged the game to force you to loose 15 to 20 times on the same challenge. They constantly try to use the bonuses in order to win the challenge. The worst part is that you have a 10% chance of getting the item you were playing the quest for. To get the item you are playing for you will have to win the same quest at least 20 times. This is a fact, as I’ve played and actually counted this several times. It is despicable to have rigged the game this way. To force you to fail or to intentionally not award the item as a means to force you to spend real money to try to advance in the game. You could wait a day for your energy to regenerate so you try to get the items you need to advance, but you will only be able to play a few times and you only have a 10% chance of getting the item you need. You will never be able to follow the storylines because by the time you get any of the items you won’t have any idea what the story was. I just don’t understand why they haven’t listened to the complaints on their reviews. I only know that it shows that they truly do not care. This game is mildly entertaining... but it has some major issues that make it more frustrating than fun. 1. As you go along, you may need a certain object to move ahead. And, you may be told you have to complete a certain puzzle to get that object. But that's not what happens. Instead you get either an object you don't need or a couple of points to extend your life (and I am talking 2 or 3). You can be directed to puzzle after puzzle for the object you want, but it may take 15 or 25 tries to finally get the right puzzle for the right object (once, it took me 26 winning attempts to get the object I needed). 2. To move forward, you have to complete object sets. But don't be fooled, you're also required to collect ancillary objects that you must stumble upon in play. You can click on "find" and you will be directed to a puzzle that will give you all indications that if you win, you get one of these ancillary objects, but it's a lie. In all the time I've fallen for this ploy, I have never once found the object needed to complete the set. So what happens? Well, if you're anything like me, you end up with scads of unfinished sets, and a thin hope that some day one of them will be completed. In the end, I've given up on making any real progress and have opted for the thrill of completing a puzzle or two. If you can adopt the same attitude, the game ain't bad. Great way to pass time! Get rid of the curse so you can start playing. Updated but did not get the emeralds. You stopped the main story YEARS AGO! Finish the story!!! Takes away your stress for a while! Can be addicting! The game play takes to long. The tasks are repetitive. And any emeralds found go into a piggybank that you have to pay for. We play the game to receive these emeralds free, and not pay cash for them. I would not recommend this game to anybody. It was fun in the beginning, the goals become unobtainable. While the puzzles are entertaining the game progress is too slow. Puzzles cost too many lives to win reward. Too much emphasis on paying for advancement with real world money. I don’t mind spending a bit but with this game I feel it would be a total waste of cash. Other reviewers have explained the slow game play well. I will be deleting the game due to lack of forward process. Not sure how it has achieved 4 out of 5 stars? I give it a 2 based on good graphics.